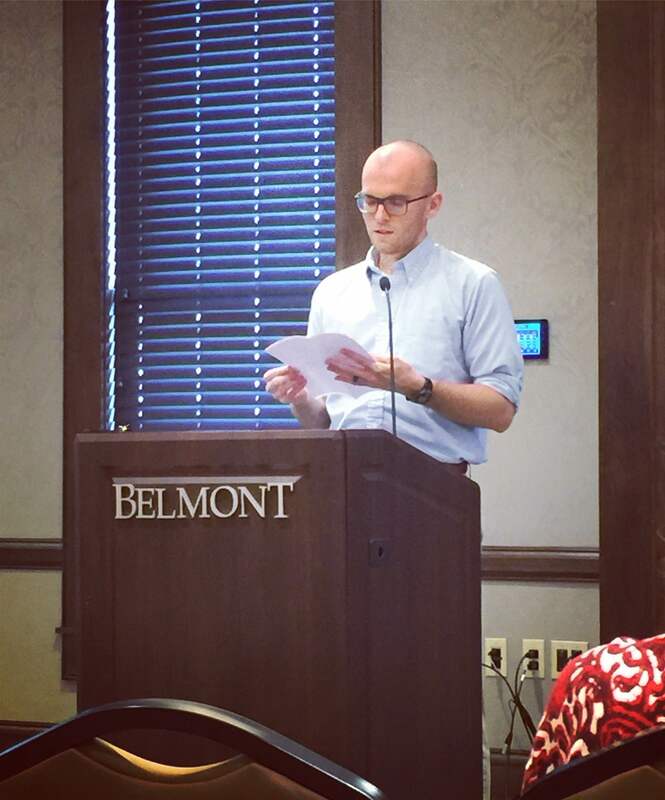 Gabriel Seals, office manager/receptionist for Belmont’s Health Services, recently received first place in poetry in the Sandra Hutchins Humanities Symposium Writing Contest. This award is given to six students each year, two in poetry, two in fiction and two in creative nonfiction, in accordance with Belmont’s Humanities Symposium. Judges for the event included Dr. Gary McDowell for poetry, Dr. Susan Finch for fiction and Dr. Andrea Stover for creative nonfiction–all faculty members from the English Department. Winners are invited to read their works at a celebratory panel during the Symposium, hosted each fall by the Humanities Departments (English, philosophy and foreign languages). The award is named after Belmont’s retired colleague, Dr. Sandra Hutchins.